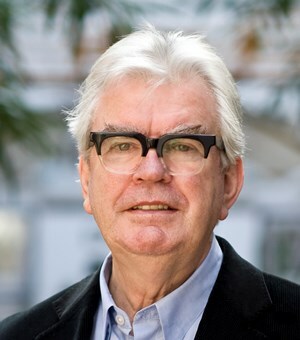 Renowned British architect and master planner Sir Terry Farrell has been announced as a new Trustee of the Trees and Design Action Group (TDAG) trust. Further new trustee appointments include two ICF members – Dr Mark Johnston MBE FICFor, who co-authored Trees in Towns II and Keith Sacre MICFor, Sales Director at Barcham Trees and lead author of the recent BS8545: Trees: from nursery to independence in the landscape – recommendations. TDAG was formed early in 2007 following a round table discussion convened by Martin Kelly, then director at Lovejoy London and now land planning director at Capita Property and Infrastructure, and became a charitable trust in 2013. It is recognised as a pioneering group of individuals, professionals and organisations from both the public and private sector who have come together to increase awareness of the role of trees in the built environment throughout the UK. The group early on set out a 10 Point Action Plan and this continues to guide its work. Their recent publication of Trees in Hard Landscapes: A guide for delivery has received cross-sector praise, most recently during a House of Lords debate. During the debate on the Natural Environment Lord Framlingham commended both the group and the Barcham Trees Bio-security policy. He called for a nationally coordinated approach to enhance the integration of trees in the design and management of hard landscapes.